I love making easy, yet gorgeous cake recipes for dinner parties. 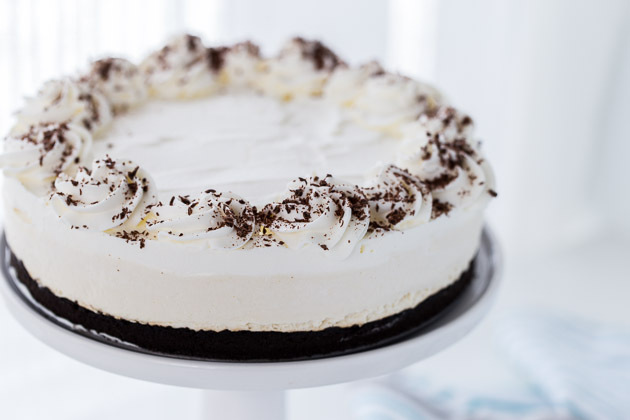 This Irish Cream Cheesecake with a Mint Chocolate Crust falls right into this category. It’s so good, people won’t believe how easy it was to pull together. 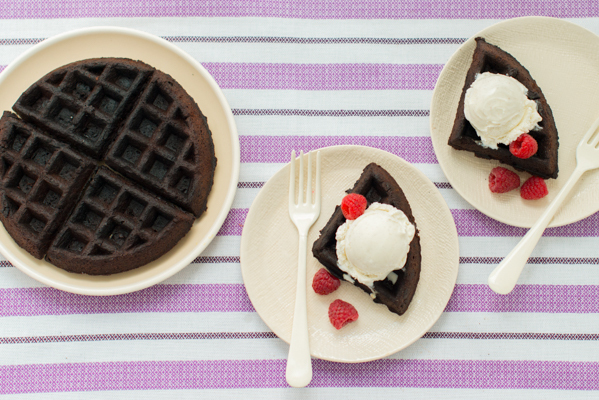 It starts with a mint chocolate crust. To make the crust, simply pulse together mint Oreos and melted butter in a food processor. 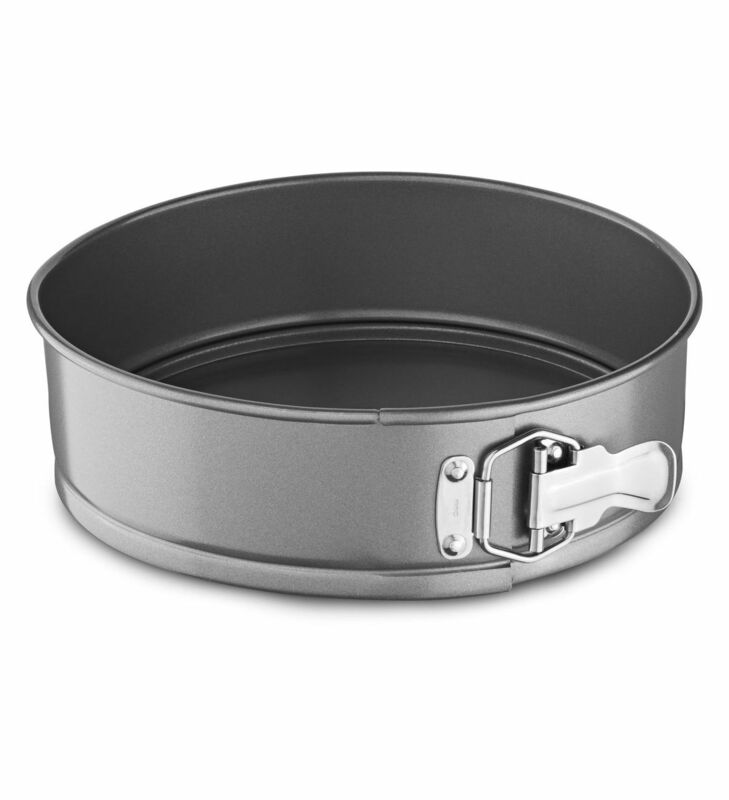 Once finely processed, transfer to the bottom of a lightly greased KitchenAid® Nonstick 9″ Springform Pan. 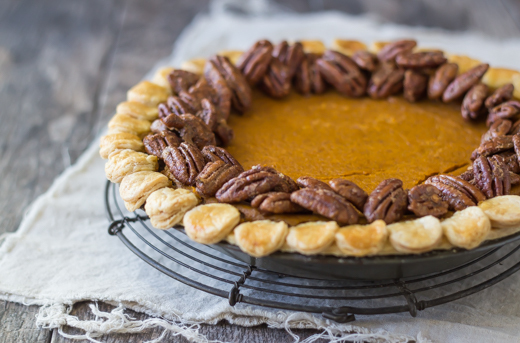 You can freeze the crust until it sets, about an hour, if you don’t want to turn on your oven. But I prefer to quickly bake the crust for 10 minutes and let it cool while I prepare the filling. My favorite part of this cheesecake is the light and creamy, mousse-like filling. To make the filling, in the bowl of a KitchenAid® Stand Mixer, whisk the heavy cream on medium-high speed until soft peaks form. Transfer to a small bowl and refrigerate until ready to use. In a clean bowl, beat the cream cheese, sugar, milk and vanilla extract until smooth, about 2-3 minutes on medium speed. Reduce speed to low and add in the powdered sugar and Irish cream. Mix until combined. Using a rubber spatula, gently fold in half of the whipped cream until just incorporated. Continue to fold in the rest of the whipped cream. Spoon the filling onto the crust and smooth the top. The key to finishing this cheesecake is making sure it sets by refrigeration for at least six hours or preferably overnight. This is much easier with my new versatile KitchenAid® Multi-Door Freestanding Refrigerator, which is spacious and easily adjustable to accommodate cheesecakes and the rest of your groceries. I love how the 5 doors allow me to organize all of my items for easy access. Once your cheesecake is chilled until set, remove it from the springform pan and transfer it to a cake stand. Top with whipped cream and decorate as desired. Be sure to keep it chilled until you are ready to serve it. Enjoy! Share your take on this Irish Cream Cheesecake with Mint Chocolate Crust recipe with us on Instagram using #MadeWithKitchenAid for a chance to be featured. 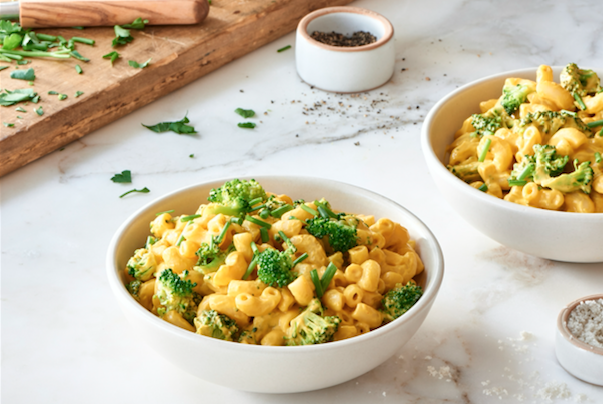 Preheat your oven to 350 degrees F. Grease a KitchenAid® Nonstick 9″ Springform Pan and set aside. Combine the Oreos in the bowl of a food processor and pulse until finely ground. Drizzle the melted butter over the mixture and pulse until combined and the mixture looks like wet sand. Press into the bottom of the prepared Springform Pan. Bake the crust until set, about 10-12 minutes. Transfer to a rack and let cool completely. 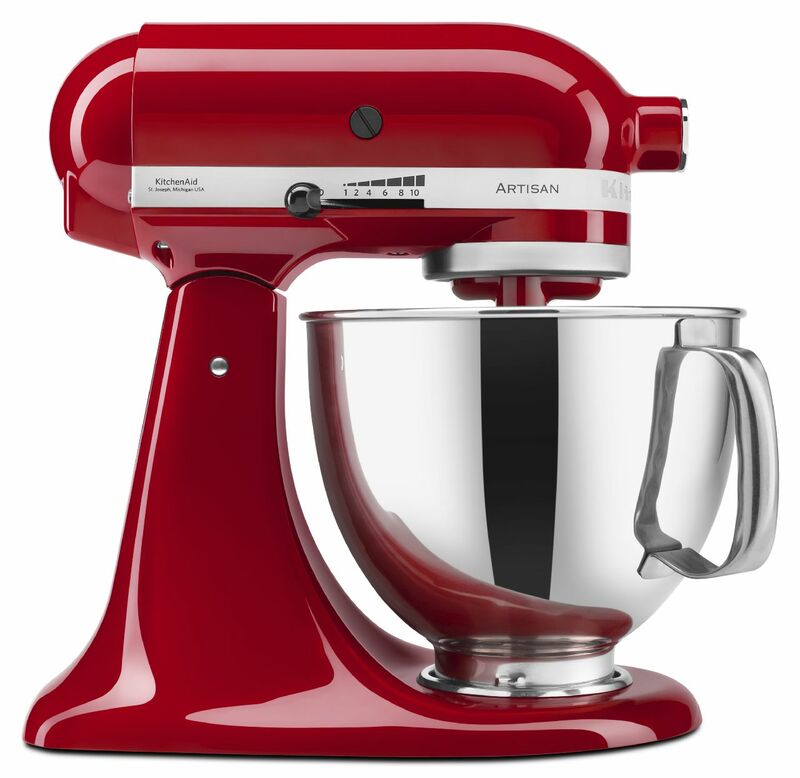 Meanwhile, in the bowl of a KitchenAid® Stand Mixer, whisk the heavy cream on medium-high speed until soft peaks form. Transfer to a small bowl and refrigerate until ready to use. In a clean bowl, beat the cream cheese, milk and vanilla extract until smooth, about 2-3 minutes on medium speed. Reduce speed to low and add in the powdered sugar and Irish cream. Mix until combined. Using a rubber spatula, gently fold in half of the whipped cream until just incorporated. Continue to fold in the rest of the whipped cream. Spoon the filling onto the crust and smooth the top. 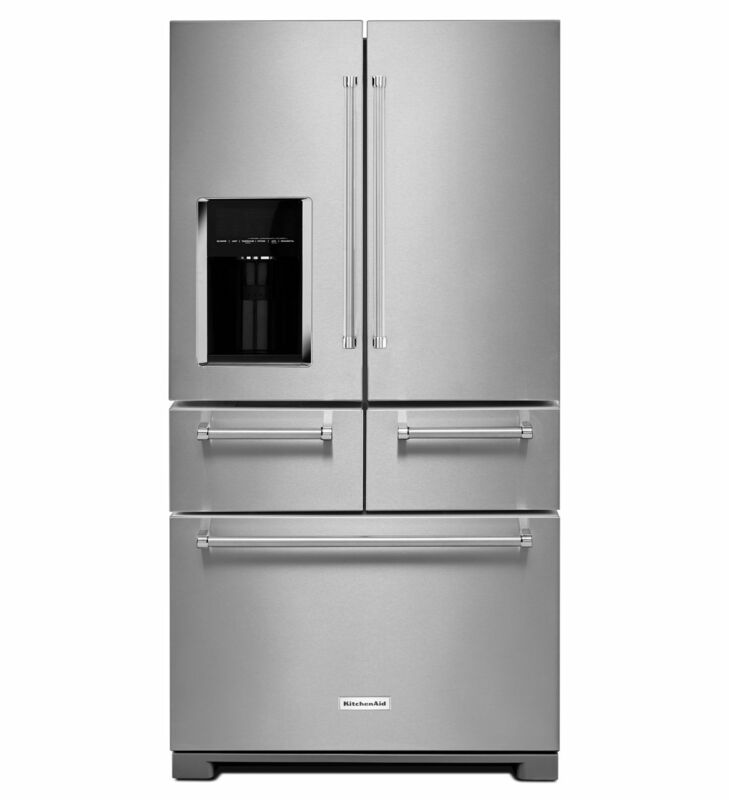 Cover with plastic wrap and chill until set, about six hours or overnight, in your KitchenAid® Multi-Door Freestanding Refrigerator. To serve, top with whipped cream, chocolate shavings, or curls.